Last November, Rocio Ortega ’16 became one of four teenagers to receive a 2013 TeenNick HALO award, special distinction from the television channel Nickelodeon. 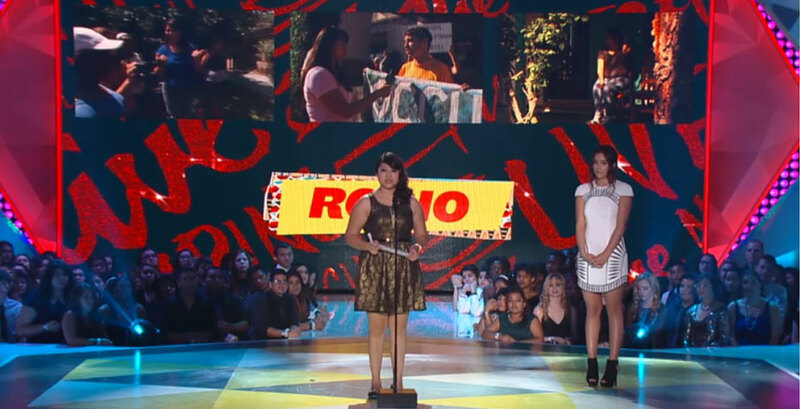 The TeenNick HALO Awards highlights four teens who are Helping And Leading Others (HALO). Ortega received the award because of her participation in the UN Foundation’s Girl Up Campaign, an organization that encourages American adolescents to speak up for girls in developing countries. The 90-minute HALO Television special was broadcast live from Los Angeles on November 17, and was hosted by Nick Cannon alongside celebrities Queen Latifah and The Hunger Games’ Josh Hutcherson, among others. Ortega received $10,000 to further her education, as well as an additional sum for a charity of their choice. Ortega became one of only five National Youth Champions to advocate for Girl Up in the United States. She worked with members of Congress as a page and teen advisor, and was nominated by Representative Grace Napolitano (D-Calif.) as one of 21 “Unsung Heroines” Women of the Year. She was honored at Running Start’s “Women to Watch” award ceremony and selected as a Coca Cola Foundation Scholar. Now studying political science at Wellesley, Ortega hopes to start a Girl Up coalition for the Boston area, which currently has none. She has also been working to spread awareness of the International Day of the Girl Child, a new United Nations Resolution to observe the difficulties girls face in developing countries.